We can help! The Twin Lakes Police Department will respond and attempt to help you if you happen to lock your keys in your vehicle within the Village. Officers will have you sign a liability waiver and there may be some vehicles that officers are unable to unlock with the equipment and training we have. However, we would be happy to respond to see if we can help you at no charge. If we can’t, officers can provide you with information on area locksmiths. The Twin Lakes Police Department is staffed 24-hours per day and there is always an employee in our building at 920 Lance Drive. 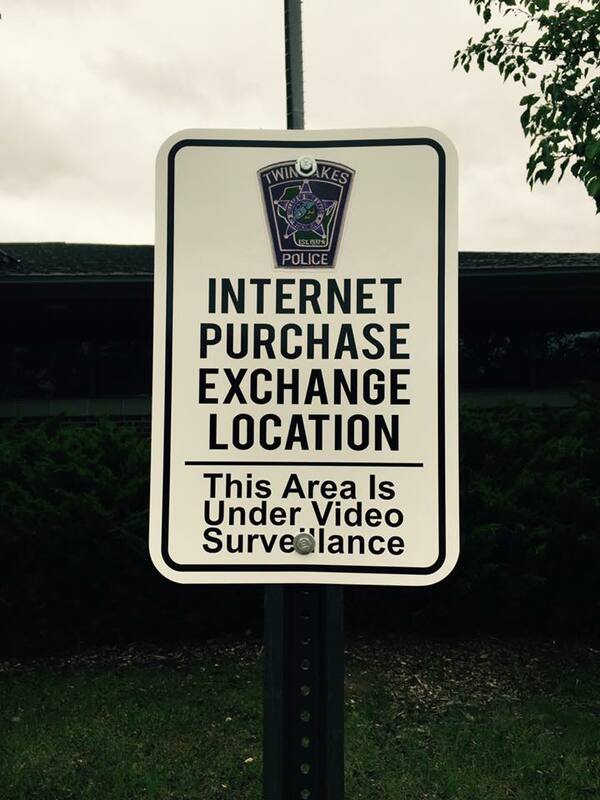 In addition, there is 24-hour recorded video surveillance which views our parking lot and surrounding area. This creates an ideal place for citizens to meet and exchange merchandise purchased online from people you do not know (E-bay, Craigslist, etc). People across the United States have fallen victim to criminals who set up online purchases, then steal and in some cases physically assault their victims when they meet to “exchange” merchandise. In an effort to help prevent these types of crimes from occurring, the Twin Lakes Police Department offers a safe place to make these types of transactions. We would encourage you to utilize our front parking lot at 920 Lance Drive to make any transactions with strangers or someone you do not feel safe being with. Note: While this area is under recorded surveillance, there is no guarantee someone is watching the camera system at all times. If you feel uncomfortable please go inside the police department lobby or call the Twin Lakes Police Department in advance so an officer can assist you. In August of each year, National Night Out is a nation-wide event that promotes cooperation between the community and it’s Public Safety Officers, in an effort to draw attention to crime and fire prevention and promote a unified effort to eliminate crime problems and fire safety. Each community that participates in the National Night Out event has a variety of promotions or special events that the community is invited to attend. Events are being planned for the Twin Lakes community and will be announced in the near future. For further information contact Dispatcher Supervisor Perry Gregory or Officer Kevin Saunders at (262) 877-9056. Each December the Twin Lakes Police Department, Twin Lakes Fire Department and EMS and the Randall Fire Department and EMS host it’s annual Shop with a Hero event. 30 children from Randall School and Lakewood School are picked by their respective school officials and teachers. These children are recognized by each school in various categories and whom are in need of a little extra attention during the holiday season. Each child is paired up with a Hero and is given a gift card to use on their own holiday shopping spree, during which they shop for themselves and their families. This annual event occurs at the WalMart in Lake Geneva and includes numerous citizens from the community in Twin Lakes volunteering their time to help wrap the presents. This program provides a reward system to citizens that report information about criminal activities. If a citizen has information about a crime and would like to provide information anonymously, call CRIMESTOPPERS of Kenosha County at 262-656-7333. The caller may be eligible for a reward. 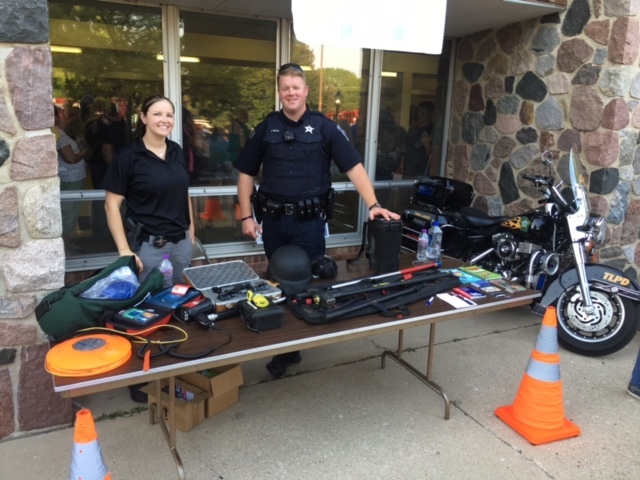 Twin Lakes Police Department will gladly host a tour of the department and its equipment for scouts , pre-schools, classes, and other interested folks. To arrange a tour please call Captain Dennis Linn at 262-877-9056. Captain Linn will ask about the size of the group and find a time that works for you and us. If Captain Linn is out of the office, please leave your name and number and he will return your call. Any Twin Lakes resident who owns a home in Twin lakes can have the police department conduct a security survey on their home. All recommendations to make the house more secure will be presented to the home owner and all approved recommendations will be done by the police department at no cost to the home owner. Any questions or to set up an appointment contact – Police Chief Adam Grosz or Captain Dennis Linn at 262-877-9056. The Twin Lakes Police Department accepts old or unused medicine 24/7, with the deposit box located in the lobby of the police department. Please bring your medicine in its original package or bottle. You may cross off any personal information, but do not cover up or remove the name of the medicine. Federal law requires that certain drugs be handed over immediately to federal law enforcement officials to destroy. It is important not to flush or pour unused medicine down the drain. This helps reduce substance abuse, and prevent childhood poisoning. Each year, the Police Department participates in the National Drug Enforcement Agency (DEA) National Prescription Drug Take Back Day. This program allows the Police Department to collect unused, unwanted, or expired prescription drugs from residents anonymously and with no questions asked. For more information on the DEA program, visit the DEA website.